Here are some of the books I recommend for you to read for more detail on any topic About Catholics. In the year since he was elected, Pope Francis’s simple message of mercy, service, and renewal has spread to every corner of the world. Through his gentle demeanor, selfless actions, and welcoming call for service to others, Pope Francis has captured the attention of a world longing for an authentic message of hope—we want to hear what he has to say. Click here. 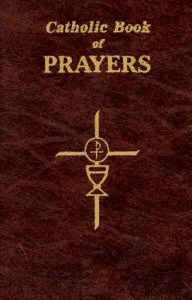 Today’s most popular general prayerbook, The Catholic Book of Prayers contains many favorite prayers for everyday, to the Blessed Trinity, to Mary and the Saints, and a summary of our Faith. Written in Giant Type. Flexible binding. Click here. Here it is — the first new Catechism of the Catholic Church in more than 400 years, a complete summary of what Catholic throughout the world believe in common. 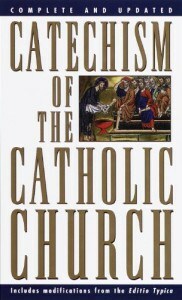 This book is the catechism (the word means “instruction”) that will serve as the standarad for all future catechisms. The Catechism draws on the Bible, the Mass, the Sacraments, Church tradition and teaching, and the lives of saints. It comes with a complete index, footnotes and cross-references for a fuller understanding of every subject. Click here. Are you going through the RCIA Process? 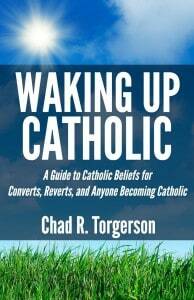 Are you new to Catholicism and become a recent Catholic convert? Did you grow up Catholic and return as a Catholic revert? Are you interested in becoming Catholic for the first time? Click here. The depth of Catholic theology is one of its greatest beauties, but understanding it can be one of its greatest challenges.